Wrist spin has become quite a phenomenon in limited overs cricket in the recent time. While wrist-spinners have always done well, it's in the last few years that more of them are making a noise on the international stage together. Thus, the impact can be seen and felt. To put things into perspective, as of writing this story there are 3 wrist-spinners in the top 5 of ICC's ODI bowling rankings and 4 in the top 5 of the T20I rankings. This impact doesn't seem to be diminishing anytime soon. It's like the classic economic upturn where the success of wrist spin leads to an increase in the demand for the skill, which leads to an increase in its price, which in turn pushes the supply and leads to further success. IPL 2019 is now less than a month away. Every team knows that wrist spinners are going to be crucial if they were to win the title. We saw the manifestation of this fact in the auction where RCB picked the 16-year-old wrist spinner Prayas Ray Barman for INR 1.5 crores, whereas KXIP paid a whooping INR 8.4 crores for uncapped Varun Chakravarthy. Ish Sodhi is currently at No. 8 in ICC's T20I bowling rankings. He's one of those who doesn't get a lot of attention but quietly gets the job done. Much in line with his IPL franchise. In 2018, he managed to bag 48 wickets at an economy of 7.67 in 42 T20 games. Those numbers are good but then why Rajasthan Royals is at the bottom of this list? Well, it's because Ish Sodhi will likely not have a place in the playing XI. Rajasthan Royals' four foreign players will be Steven Smith, Jos Buttler, Ben Stokes, and Jofra Archer. 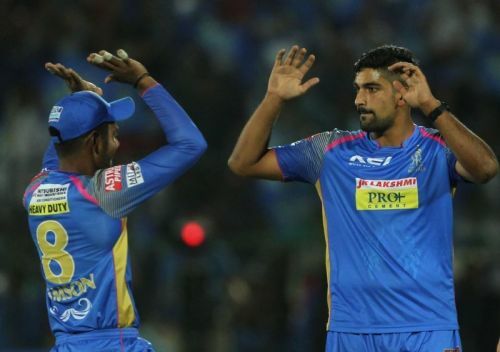 So, if they decide to include a wrist spinner without sacrificing Jofra Archer, then they'll have to go with the unknown Sudeshan Midhun. All in all, it seems like they are not betting high on wrist spin. They do have a good wrist spin option but they don't have a place for him. It's only as good as not having the option.